De que lado viste chegar o Outono? Arco-Íris (Leiria, Portugal) on 27 November 2018 in Plant & Nature and Portfolio. Em que rio te despes para sonhar? um a um os meus dias. Très belle composition aux douces couleurs. Beautiful sublime image. Excellent dof in this picture. Very beautiful macro with excellent dof ! Superbe prise ! J'aime beaucoup cette macro, tout en esthétisme ! Bien joué ! Absolutely gorgeous! Such great focus, beautiful soft tones and of course a wonderful composition! What a sweet seasonal moment . . has the makings of a Christmas card ! Wow! A mushroom with powder sugar. Always the Nice Picture,and Always the Words .......Beautiful,Miss !!!!!!! It's a bit strange to see the snow on the mushroom. The picture is beautiful. Wow, that's lovely with a touch of snow. Belle mise en valeur du chapeau rouge : C'est beau ! Beautiful red! Very nice close-up image with beautiful DOF! A sweet photo. 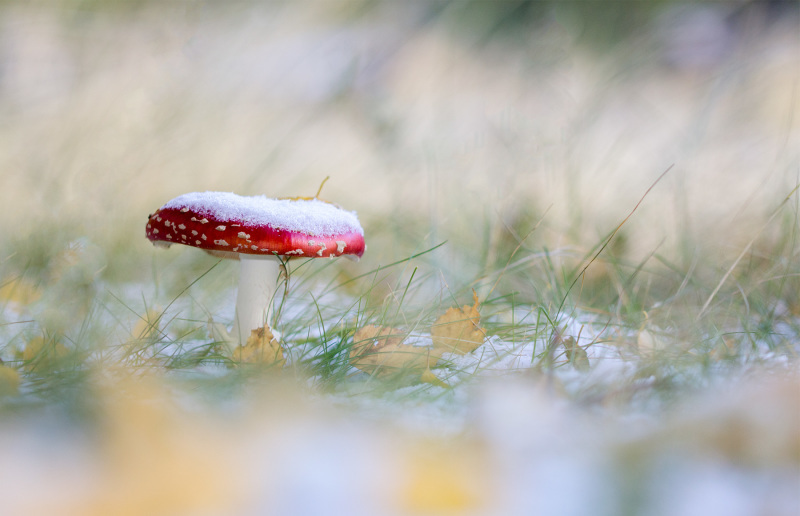 Love the composition and the snow on the red mushroom. Nice shallow depth of field. Espantosamente bem conseguida e com grande beleza pictórica ! Não vais ficar surpreendida se fores a mais votada, pois não ? Um beijo e parabéns antecipados.